This weekend was a whirlwind of cutting, sewing, ironing, basting, quilting and binding. It was nonstop and it was a lot of work... but it was SO worth it. This weekend had me thinking about just hot thankful I am that there are people out there willing to help and give their time/energies/materials to make a difference for other people. I've been getting compliments on instagram as I'm showing the work i'm doing, but in reality.. its not me, its YOU and I cannot thank you enough. Quilt 1 is destined for my sisters best friends family that made the shore their permanent home 4 years ago and suffered water damage to their first floor. Quilt 2 is destined for my future sister-in-laws family who couldn't get to their house for the first week and when they did, they found out that they too had lost most of their first floor of the house. 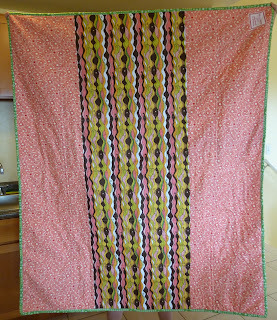 Then onto the do.good quilt. I'm the caretaker of the BELIEVE circle and I asked the ladies to make a wonky pinwheel block using this tutorial. I left the colors up to them and i'm SO glad I did, its stunning!! 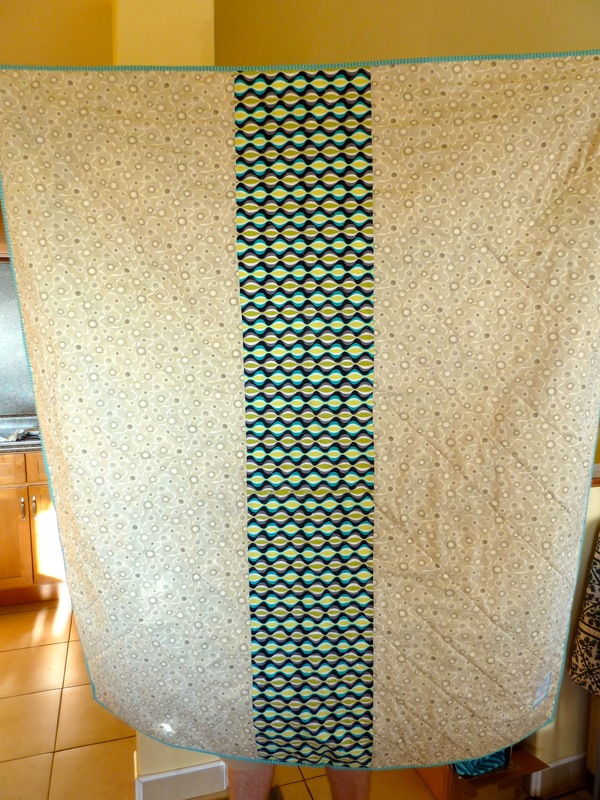 I incorporated blocks on the front and back and used some Kate Spain flannel for an extra cozy feeling. If you follow of instagram you're probably so tired of seeing these, sorry! 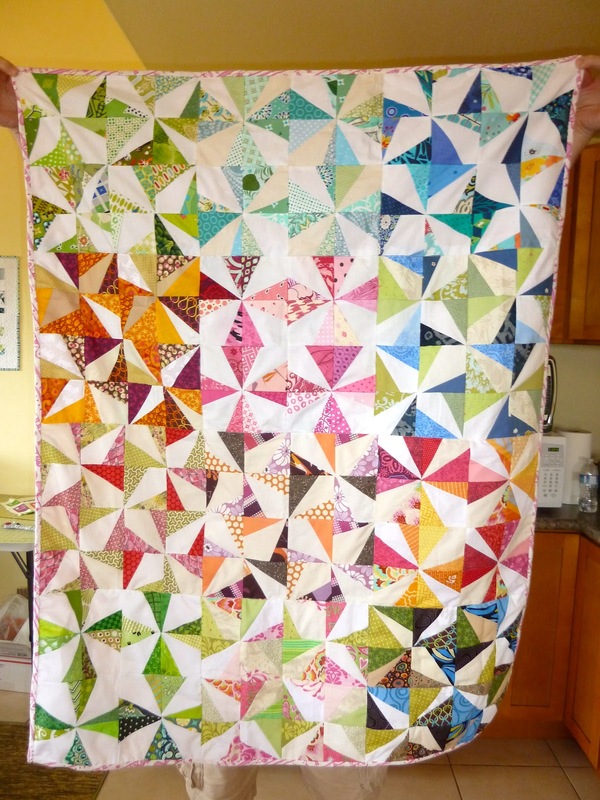 Lastly, Deb is holding a giveaway where you could win a FQ bundle of Notting Hill - check it out. These look brilliant Jenn, good weekend's work! Just beautiful! 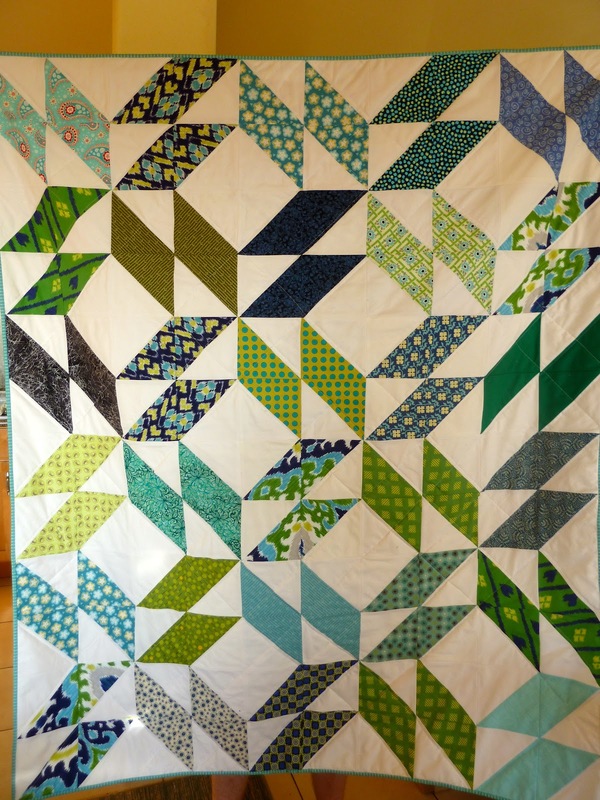 Love hearing about where the HSH quilts will go! The quilts are beautiful! Very happy to hear about their new homes. I'm sure your quilts will mean a lot the the people who get them. They are really beautiful! 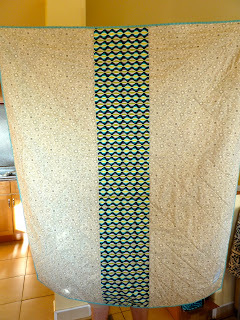 These quilts are stunning - and I especially love the second one!! You chose an amazing block - so quick and easy to make but the quilts show what amazing and different results you can get. Great work Jennifer! These are all fab, well done everyone! Lovely quilts - I am sure they will brings much needed comfort! They look great and while others may have made the blocks, you coordinated and put them all together, so that counts for something. 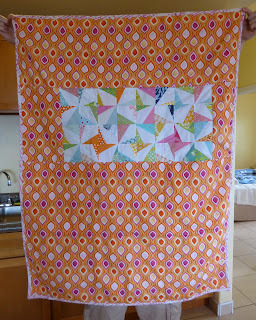 And I love your wonky pinwheels block quilt. That's what I asked for this month in our circle, but I asked for a more specific color palette. I can't wait to get them all in and see how they look together. Your's looks great! So bright and cheery! 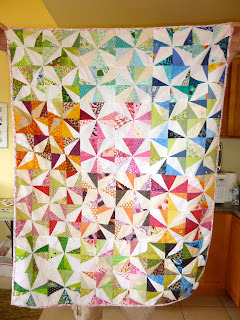 All beautiful but the do.good quilt is just WOW! Very brave of you to leave the colours up to the group - but it certainly paid off. Well done everyone! They look great and you are amazing to have organized this group effort. Well done! They are beautiful!! I'm sure they'll love them. 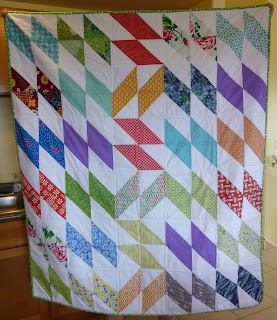 Pretty quilts! I just realized I forgot to update when I mailed my blocks. Oops! It's been a while, I hope you got them. I will check out the thread. 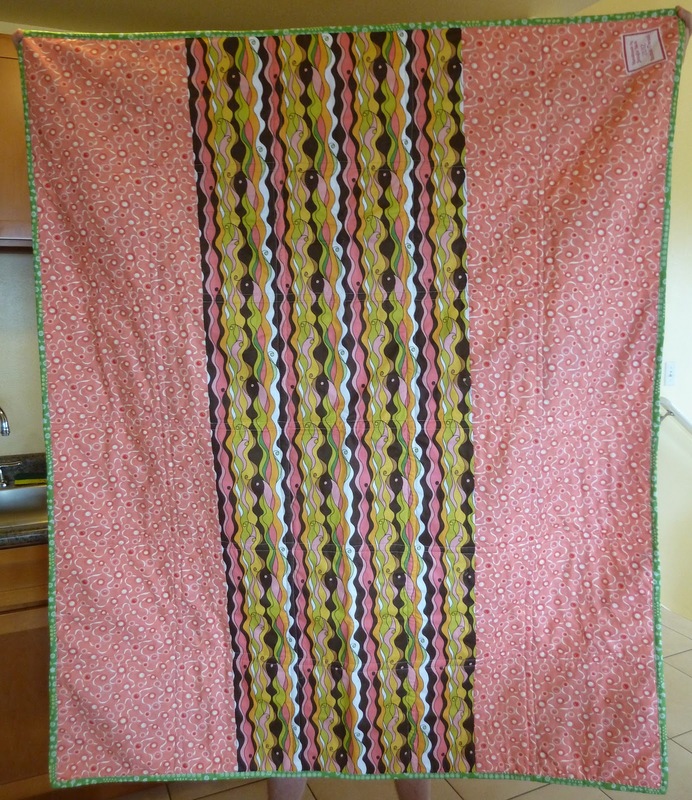 Wonderful quilts for a noble cause. Bravo. so awesome. so so so very awesome! i haven't been able to make any blocks. i'm rushing to get something else finished before i leave for the holidays, i wish i'd have helped out with this but i'm so glad you got such a wonderful response from everyone else, the quilts have turned out oh so lovely!